Is One in Every Five Nigerian Mad? The federal government yesterday said an estimated 40 million Nigerians are believed to be suffering from mental disorders. Permanent Secretary, Federal Ministry of Health, Abdulaziz Mashi Abdullahi, stated this at the ongoing mental health action committee and stakeholders workshop in Abuja. Abdullahi, who attributed the country's high burden of mental disorders to inadequate attention paid to mental illnesses, misconceptions and lack of awareness on the part of the Nigerian public, said more people will be disabled by psychological challenges than complications arising from HIV/AIDS, heart disease, accidents, and wars combined by the year 2020. He identified ways of addressing the country's mental health burden to include: fast-tracking the enactment of the Mental Health Act as well as the resuscitation of the national mental health action committee for the coordination of stakeholders' activities on mental health and psychosocial supports in the country. He said: "In Nigeria, an estimated 20-30 per cent of our populations are believed to suffer from mental disorders. This is a very significant number considering Nigeria has an estimated population of over 200 million. "Unfortunately, the attention given to mental health disorders in Nigeria is inadequate. The level of awareness of the Nigerian public on mental health issues is also understandably poor, and with lots of misconceptions. "By 2020, it is estimated that common mental disorders such as depression, anxiety, and substance abuse-related disorders, will disable more people than complications arising from HIV/AIDS, heart disease, accidents, and wars combined! This is an astonishing statistic and possesses serious questions as to why mental health disorders are not given the needed attention that it currently receives. 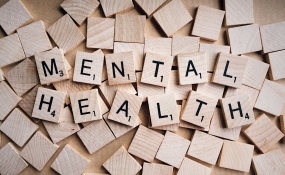 "A policy for mental health services delivery was developed with several key provisions of the policy, including establishing a body at the Federal Ministry of Health to focus on Mental Health issues. "Some of the pertinent issues is how to address and dialogue with stakeholders on the burden of mental health, intimate them on the Mental Health policy, identify ways to fast track the enactment of the Mental Health Act and modalities for resuscitating the National mental health action committee for coordinating the activities of various stakeholders on mental health and Psychosocial supports in Nigeria." Also speaking, the Director of Public Health in the ministry, Dr. Evelyn Ngige, described the Nigeria's statistics on mental health disorders as damning considering the current economic hardships in the country. Her words: "Considering the current economic situation in the country, the above statistics are damning and in the light of the recent suicidal episodes recorded in parts of Lagos (which are obviously a tip of the iceberg), it forces a rethink in our general attitudes to mental health and questions our current maintenance of the status quo." In his remarks, Dr. Rex Mpaazange, the WHO Lead on Communicable and Non-communicable Diseases Intervention, also lamented Nigeria's high burden of mental health disorders; noting that "People with severe mental disorders - moderate to severe depression, bipolar disorder, and schizophrenia and other psychotic disorders - generally have a life-expectancy 10-20 years shorter than the general population."